This is one of the most hyped products of the moment, and I'm lucky enough to have one. I know a ton of people who were not able to pick it up, since it kept selling out so fast. 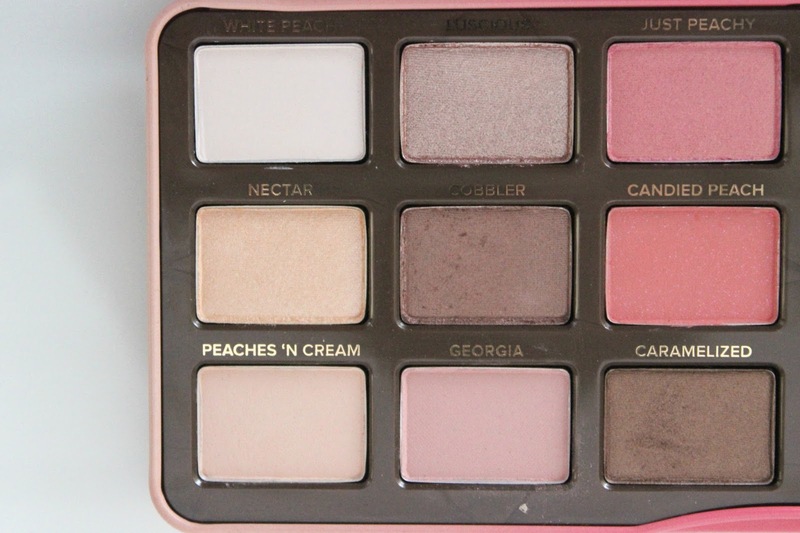 Even though everyone and their great-aunt Edna are talking about this palette, I thought I'd throw my 2 cents into the mix. 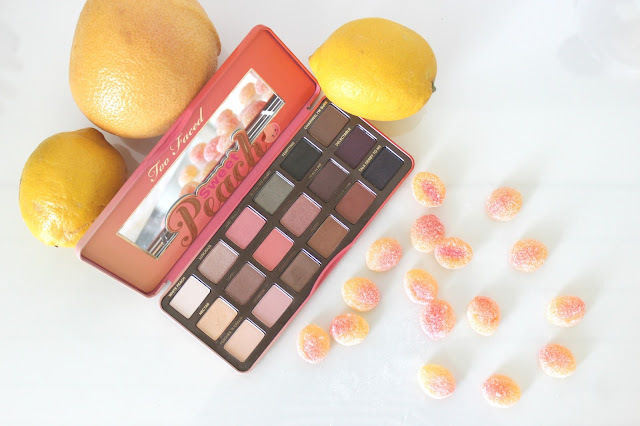 Because who doesn't want to read more about the best smelling makeup palette on the market (for any non-beauty loving people, that sentence would sounds really bizarre). If I could start this review with a link to buy the product, then I would, because I think it's something that you 100% need in your makeup collection. But sadly, it's sold out absolutely everywhere. Now that I've been playing around with it for a few weeks, I'm in love. Completely and utterly in love. Like Leo and Kate in Titanic. I will never let go. I think one of my favourites things is how blue my eyes look. Blue and orange are complementary colours, so the theme of this palette is perfect for anyone with blue eyes (but obviously, everyone can use it). I know a lot pf people complained there were not enough peachy colours, but I think it's the perfect mix. 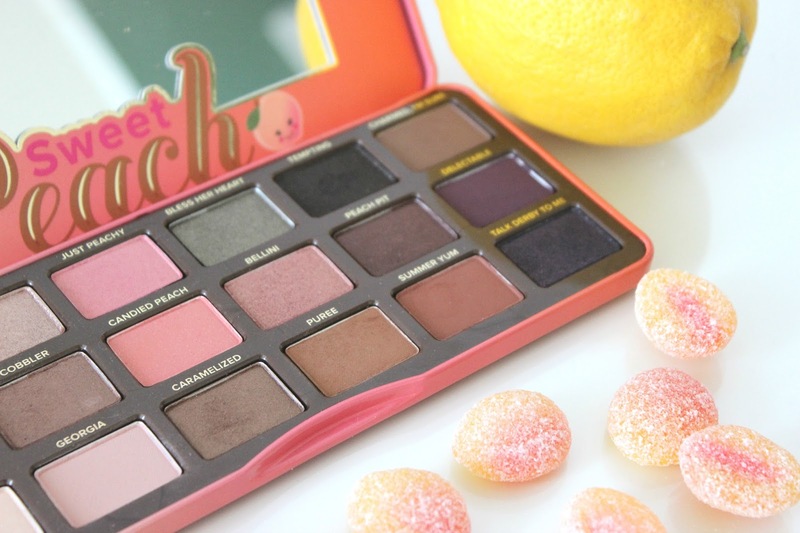 There are 4 pink-peach colours, and 2 yellow-peach colours. 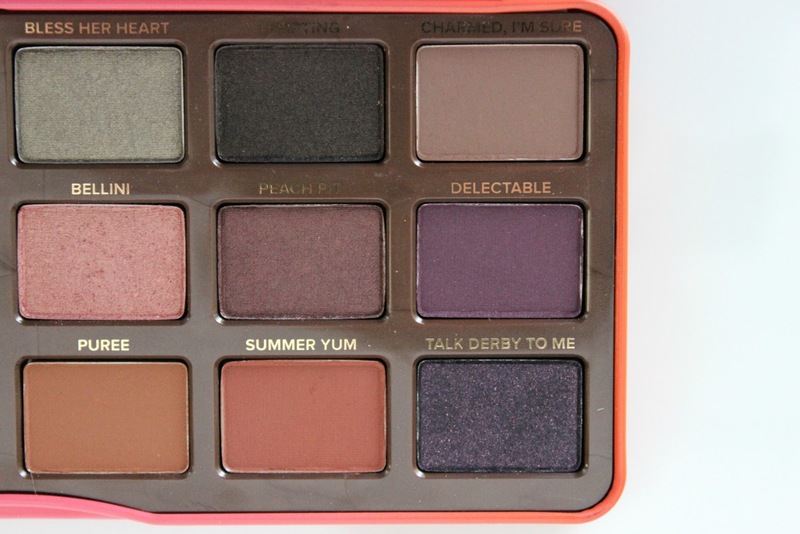 There are 6 brown shades and 3 purples to create a well-balanced look. And then there is one white, one tree, and one glittery-black to add a bit of extra fun. All the colours are colours you would find in a peach (from the leaves to the centre), so I think the name fits perfectly. As for the scent? 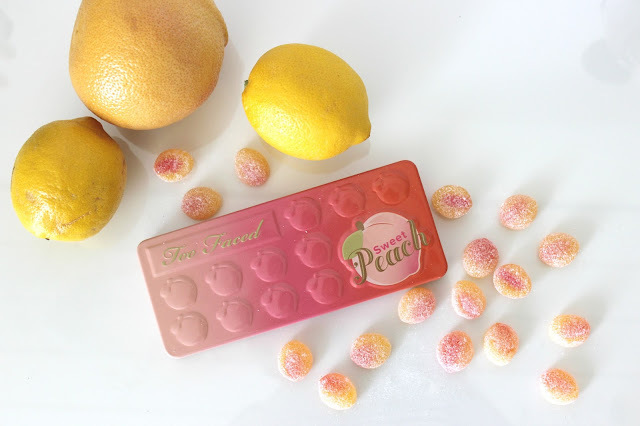 It most definitely smells like fuzzy peaches. It's sitting open beside me right now, and it's actually making my mouth water. As for the pigmentation? I think it's very consistent. I've heard people complain about the purples being patchy, but I personally haven't had a problem. They are all very pigmented, super easy to blend, and very long lasting. 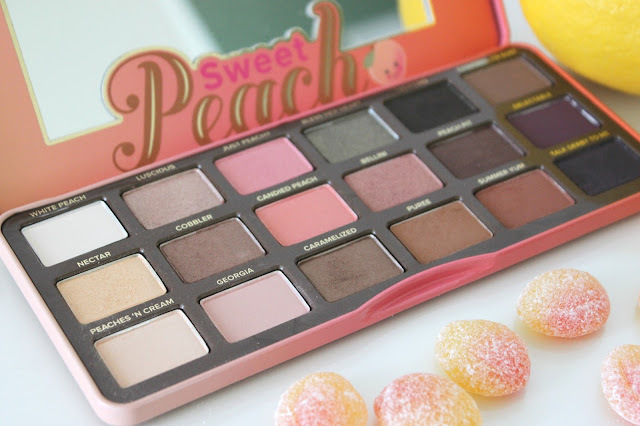 Essentially, they don't deviate from the quality of any of the other Too Faced palettes. If you can get your hands on it, I would 100% recommend it. It you like warm eyeshadows, then this is the first spring/summer palette. You can create anything from a subtle everyday look, to a super smokey eye; the opportunities are endless.